Princess Cruises have raided the thesaurus and their back catalogue to come up with a name for their next cruise ship. With Royal Princess recently floated out at a shipyard in Italy, construction work has now begun on her sister, to be called Regal Princess. 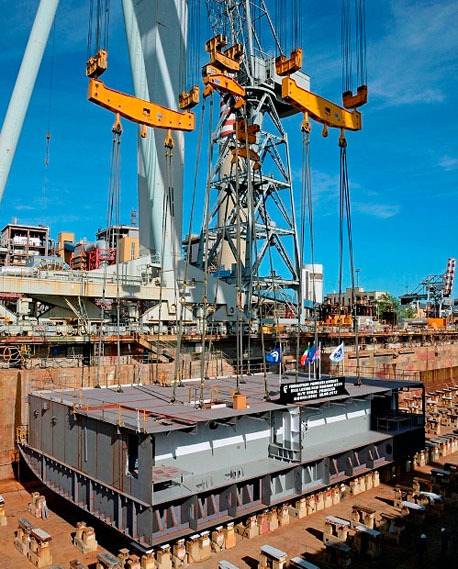 The company and shipyard officials started the countdown to the ship’s launch today as the first building block was lowered into position in the dry dock (above). Following a traditional blessing by a priest, the block, weighing about 500 tons, was moved into position on the keel blocks by a huge crane. The computer-guided manoeuvre took only minutes, belying the more than two million man hours that will ultimately go into building the vessel. The 3,600-passenger, 141,000-ton ship will remain in the building dock until its float-out next summer. The last Regal Princess, built in 1991, is now sailing as Pacific Dawn for P&O Australia. 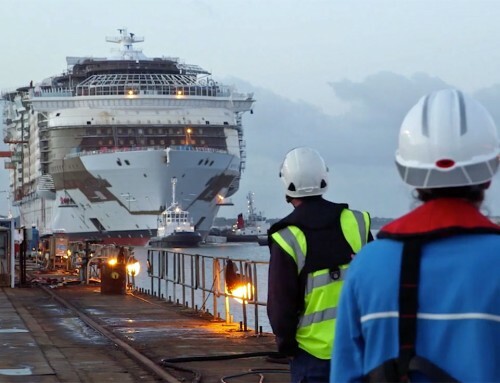 Royal Princess will debut in Southampton next June, and the new Regal Princess will enter service a year later. A third ship built to the same design will join the P&O fleet in the UK in 2015. Meanwhile, P&O have revealed details of changes to be made some of its current fleet during forthcoming overhauls. 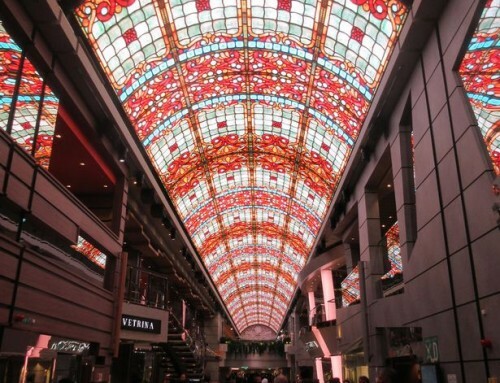 Ventura, launched in 2008, is scheduled to enter dry dock on March 22 next year and will have its Ramblas tapas bar replaced with a Glass House wine bar – with a selection of drinks and food chosen by TV’s Olly Smith, as on sister ship Azura. Ventura will also be fitted out with a Retreat al fresco spa area and a dance floor in the atrium – both of which have been popular on Azura. 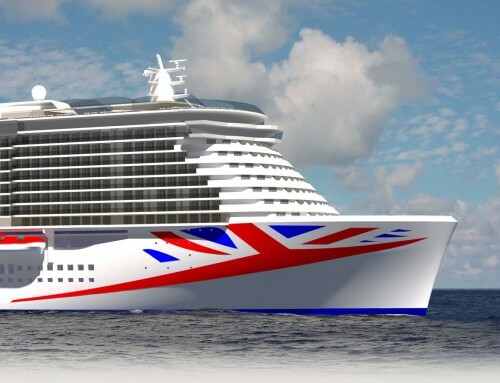 Single cabins – 18 of them – will be squeezed into Ventura, and another P&O ship, Arcadia, will have 10 fitted during a 20-night dry-dock in December 2013.